The Population Studies Center (PSC) of the University of Pennsylvania (Penn) has fostered research and training in population since its founding in 1962, with support from the NICHD P30 program 1978-2003 and the R24 program since 2003. The Population Studies Center (PSC) of the University of Pennsylvania (Penn) has fostered research and training in population since its founding in 1962, with support from the NICHD P30 program 1978-2003 and the R24 program since 2003. The PSC is characterized by remarkable continuity in the production of high-quality research even as the composition of its Research Associates has changed and their research interests have evolved. Although the PSC still maintains a strong core commitment to demography (the study of the growth and structure of populations) – including the Graduate Group in Demography (GGD), a world-leader in the training of demography Ph.D.s – we have also expanded our research sphere, emphasizing the following research themes: New Dynamics of Population Diversity, Demography, and Human Resources and Endowments. We also have a strong portfolio of research, research projects in International Population Research and have embarked on a few New Directions in Population Research. 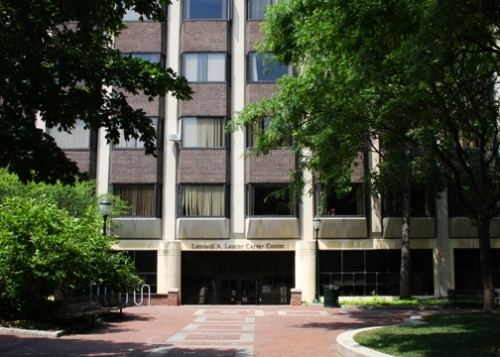 The heart of the PSC is its Research Associates, who come from over a dozen academic departments spread across numerous Schools, including Arts and Sciences (SAS) (primarily Sociology and Economics, but also Anthropology, Criminology, History, and Psychology), Wharton (Statistics, Business and Public Policy, Insurance and Risk Management), Medicine (primarily Internal Medicine), and Nursing. The PSC staff support their research, including administration, computing and other information technology, library and bibliographic services, and expertise in issues related to human subjects. PSC Research Associates are heavily represented on national scientific boards and commissions, and have earned numerous honors reserved for recognized leaders in the study of population processes and understanding the nation’s health. Their work has had demonstrable impacts on public programs and legislation in the United States and abroad. The PSC and its Research Associates have long benefited from support from a number of federal and private research funding mechanisms and from dedicated support from Penn's School of Arts and Sciences (the administrative home of the PSC).